I love rock climbing. Indoors is great; outdoors is better; but even the hallways in Moreau Seminary suffice. I wish I could describe the look I get from many people when I tell them about my passion for climbing. 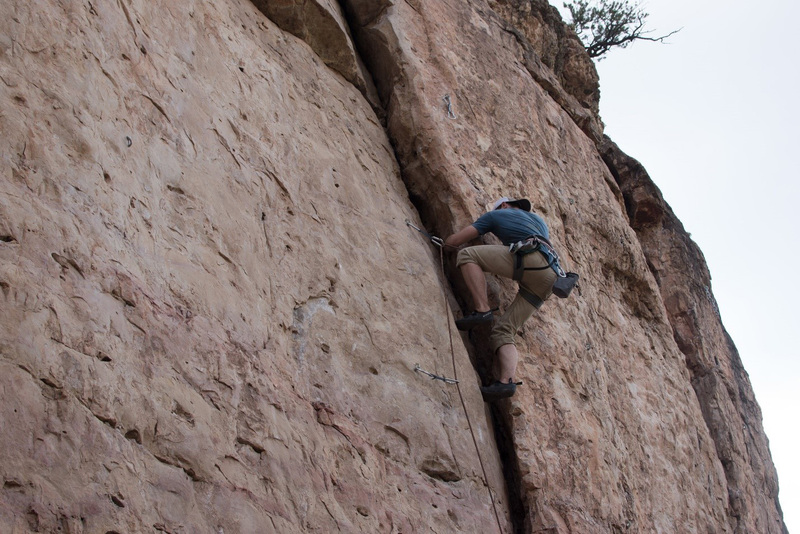 Many have a hard time seeing climbing as an enjoyable, healthy activity, and they certainly can’t imagine how it can be a way of living the new evangelization. In this brief reflection, I hope to invite you into my world of climbing and to uncover some of the hidden beauty I have found at the crags. 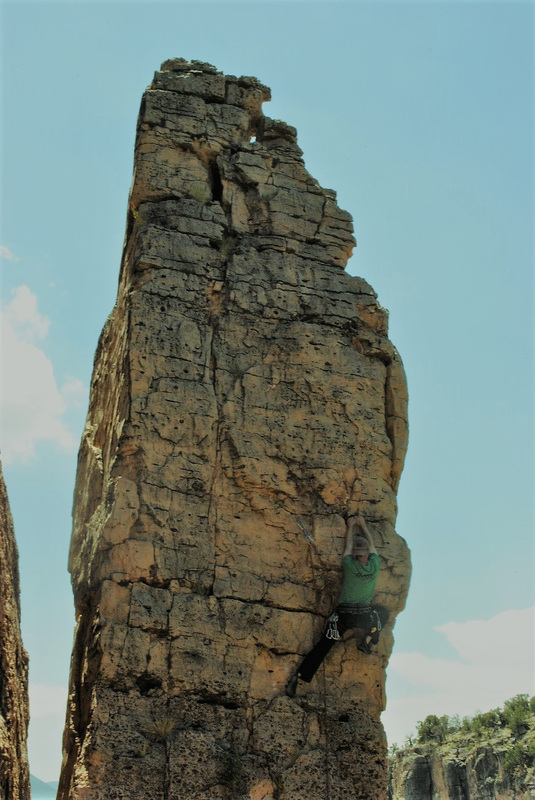 Yes, climbing helps me get the exercise I need, relieves me of stress, and is a safer exercise than just about any other, but I would rather focus on how climbing draws me deeper into relationship with God and helps me invite others to do the same. First and foremost, my experience praying with the psalms has been transformed by my climbing experience. After years of climbing, I know the stomach-dropping experience of the psalmist who prays, “When I think ‘I’ve lost my foothold.’” (Ps 94:18) The sense of total vulnerability overwhelms me as my feet slip off the wall and my hands grasp desperately at the rock. I also know the joy and sense of security as my feet find a sure footing, much like the psalmist finds his footing in God, “your mercy, O Lord, holds me up.” (Ps. 94:18) I know the confidence of David when he prays, “with my God I can scale a wall.” (Ps. 18:30) I have just a little more insight into God Whom Scripture frequently refers to as the Rock. “The Lord lives, and blest be my Rock!” (Ps 18:47) “For the Lord is an eternal Rock.” (Is. 26:4) “Who but our God is the rock?” (2 Sam. 22:32) And on and on… Rock climbing leads me deeper into the Scriptures and also draws me out into the wilderness where God most frequently speaks with His people. Climbing not only brings me into a deeper relationship with God, but it also provides me the opportunity to share that relationship with others. Climbing introduces me to new people, helps me bond with them over our hobby, and allows me to share with them in an organic way the joy of the Gospel. The climbing wall brings people of all sorts of spiritual backgrounds into one gym. My joy and love for climbing allow me also to share my joy of conforming myself to the Gospel. When I have to leave climbing to go to Evening Prayer or Mass, I make it clear that I am moving from one joyful way of entering into relationship with God to another, just as joyful way. Conversations with fellow climbers about my vocation and love for God come naturally when we are working on a bouldering problem. I hope that the relationships I build at the wall will inspire others to look at their own relationships with Jesus and draw them deeper into His love. And what better place can there be to begin a renewed relationship with Jesus than the climbing wall? Br. James Henke, C.S.C., recently spent a year in Colorado Springs, Colorado at the Holy Cross Novitiate, which is nestled at the foot of Pike's Peak. Br. James is orginally from Greenwood, IN, and he attended Notre Dame as an undergraduate before transferring to the Old College Program. Br. James is currently living at Moreau Seminary, and working to complete his M.Div. at Notre Dame.